I have the upper 2 sections of a telescoping mast left over from another project, and a new surplus Bogen tripod. 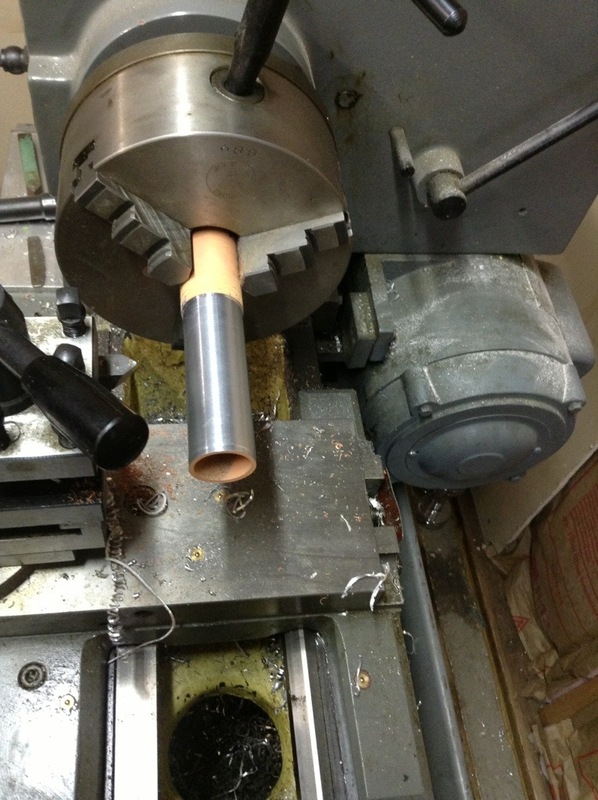 To fit the mast sections to my tripod, and had to turn a bushing adapter. Tonight I finished that part and tested the fit. I will guy this setup when there is an antenna mounted. I’m hoping it will be sturdy enough to support my 10′ 6 meter yagi and my Arrow 4 element yagi at the same time. 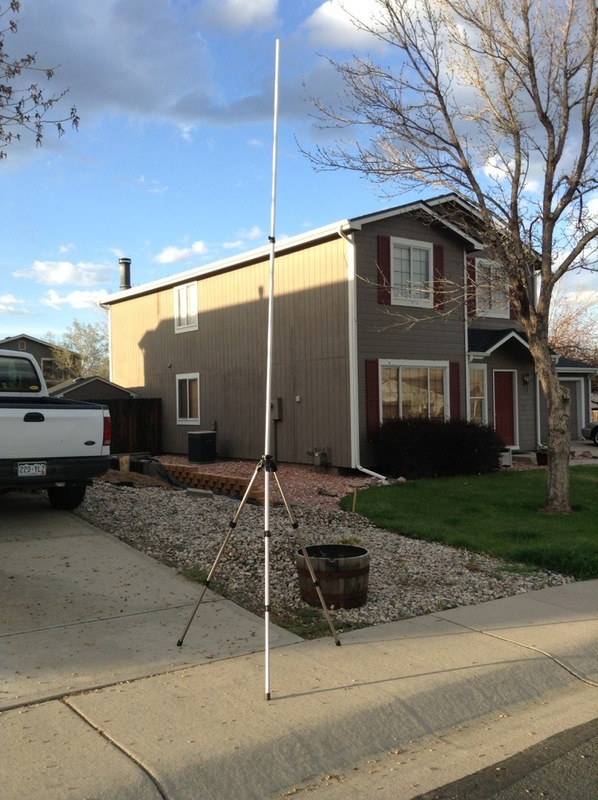 This entry was posted in N0BCB, SOTA and tagged Antenna yagi tripod. Have a 48 ft rohn galvanized steel tower with suafcre rust. It has a Telrex , wind destroyed and a 17 mtr home brew on top.what would it cost to let it down, hinged base, so I can sand, clean and repaint. I`m 75 ,don`t climb anymore. I am in Hickory, abt. 40 mi. from Charlotte. I lived in Fayette, Maine until I was about 22, when I moved to Florida (7 years), Alaska (6 months), California (3 years), and finally Fort Collins Colorado. Thank you for your posts. They are inspirational for my own projects. I did wonder. Your homepage had mentioned that you did live in Maine any more. (I think it was your homepage, it was whichever I visited before this). Where did you end up?